We have developed a network of partners of electronic card designers and distributors, to accelerate the time to market of customer solutions using modules, to reduce software project risks and to provide quality support for all smart object and IoT projects. In close relationship with the electronic card designer we know how to anticipate new versions, adapt our software and support our customers through their platform changes. Witekio is a long-standing partner of several of the leading processor manufacturers. Our embedded software engineers can therefore monitor future changes, master the most advanced technologies and are able to adapt them as best as possible to the requests of our customers. Witekio has unique expertise in solutions based on ARM architectures (Cortex-A7, Cortex-A8 and Cortex-A9 and Cortex-A53, etc.) and has created many reference BSPs for its partners. Witekio is Altera’s partner for all software support on the Cyclone V SOC platform. The support includes the development of reference BSPs for Windows Embedded, as well as the integration of other operating systems such as Android, Linux and QNX on this platform. We also conduct training on this platform. 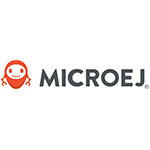 Our partnership relationship with Microchip, formerly Atmel, is based on our ability to integrate the main operating systems of the embedded world, onto one of the most reliable platforms on the market, the SAMA5®. 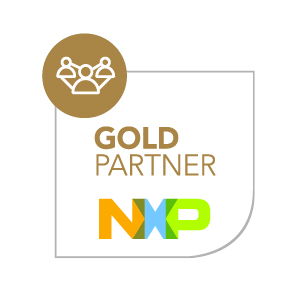 Witekio is one of NXP's most important partners in the low-level development and operating system porting part of the i.MX family of processors. 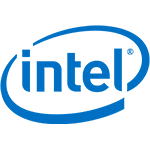 As an "Affiliate Member" of the Intel embedded alliance, Witekio is the official distributor of Windows CE 5.0 and 6.0 BSPs for the Intel® Atom™ series. We also distribute Windows Embedded Compact 7 and 2013 BSPs for Baytrail and Haswell processors. As a member of the "Intel IoT Solutions Alliance", we provide you with Android KitKat reference BSPs for Braswell and IoTG platforms. These BSPs are available in our Tech corner. 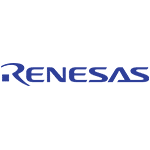 Witekio is an official partner of Renesas, a leader in microcontroller design, and a member of the "Renesas Alliance Partner Program". We provide the software integration of Linux FOSS and Android AOSP on the RZ-G1 reference platform, while offering the development and support of Android and Linux BSPs for this platform. Partner with STMicroelectronics, a global leader in semiconductors, for STM32MP1 MPU. The company counts more than 45,000 employees in 35 countries and offers one of the broadest product portfolio in the industry. The company base line Life.Augmented. reflects its vision to bring its added-value everywhere microelectronics can contribute to people’s lives. STMicroelectronics focuses on applications in automotive and IoT, automation and robotics and also smart home and medical. With the launch of their SMT32MP1 Series, the company leverages the strong proven STM32 product family with a multicore processor providing flexibility, reduced risk and accelerated time to market for IoT and industrial innovation. 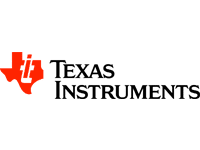 Witekio, is a ''Platinum Partner'' of Texas Instruments. 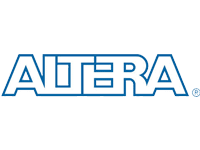 We provide development, support and maintenance of the main Android and Windows Embedded Compact reference BSPs for the Sitara™ family of processors. This Android reference BSP development includes the AM335x, AM437x, AM57x platforms for the Sitara family. We also offer reference BSPs for Windows Embedded Compact, Android, Linux and QNX for the Sitara, Da Vinci and OMAP processor families. Witekio is the official publisher of the Windows Embedded Compact 7 and Windows Embedded Compact 2013 BSPs for the reference platform Zynq-7000 https://witekio.com/cpu/zynq/. 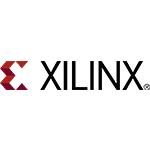 Our multi-OS expertise and in-depth knowledge of Xilinx technologies, allows us to help you integrate QNX, Android, Linux and Windows Embedded on the platforms of this Silicon Vendor. This BSP is available in our Tech corner. Witekio is a special partner of Advantech IoT Intelligent Systems for system software integration and the implementation of the main OSs on Advantech electronics modules (Android, Linux, Windows, QNX). Whether Linux, Android or another, once your electronic card has been chosen, our engineering teams can help you to adapt and customize your software architecture to your IoT project from the low level to the cloud. 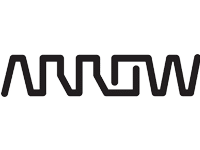 Witekio is one of Arrow’s key partners for offering system software integration solutions. 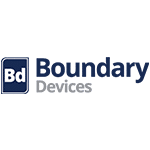 Witekio is a privileged partner of electronic card designer Boundary devices in the United States for software support for the main OSs. 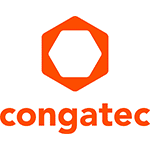 Witekio and Congatec have developed a global partnership for Linux and Windows support and development. You can try our Linux and Windows Embedded Compact reference BSPs for the QMX6 platform from now. We work in collaboration with Lacroix Electronics for a number of customers who require, as part of their IoT project, global support for electronic card design, including the industrialization, and the design and software implementation of all the required features. 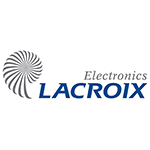 Ranked in the TOP 10 of European EMS (Electronics Manufacturing Services), LACROIX Electronics specializes in electronic subcontracting for the industrial, home automation, health, automotive, civil avionics and defense sectors. With more than 3,220 employees, LACROIX Electronics achieved a turnover of 280 million euros (+21.7%) including intra-group sales in 2015. Lacroix Electronics is one of our leading partners in Europe. 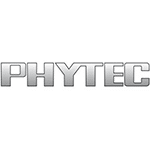 Witekio is Phytec's official partner for system integration and support for Windows Embedded technology on phyCORE modules. Witekio develops, distributes and supports some Windows Embedded Compact reference BSPs, including phyCORE PXA270, phyCORE i.MX31, phyCORE LPC3180 modules. 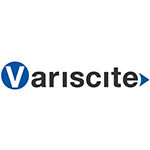 Witekio is collaborating with Variscite for the system integration and support of Windows Embedded technology on their System on Module (SOM). Our partnerships extend far beyond those with leaders in electronic card design. As an integrator of complete software systems, from hardware to the cloud, it is essential that Witekio develops and maintains a network of strong partnerships among the leading software players in the embedded and connected objects markets. The operating system allows you to activate the electronic card and provide it with features so its selection is crucial and must be adapted to the needs of your connected and smart object, of your IoT scenario. As a system software integrator, it is essential for Witekio to develop and maintain a network of strong partnerships with key software players on the embedded system and connected object markets. Witekio supports the integration of Datalight technologies, software solutions that meet the growing need for data security of embedded devices. 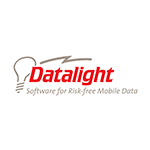 Datalight's software solutions deliver the performance, reliability and security of the data that is delivered and shared across a large number of today's embedded devices. 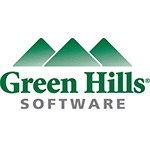 Witekio has extended its command of the different operating systems by developing a partnership with Green Hills Software, allowing it to update its area of expertise by adding INTEGRITY RTOS and μ-velOSity technologies. Through this collaboration, Witekio is able to meet the software integration technical specifications of customers from markets calling for reliable and robust solutions, all in a highly standardized environment. As a software expert in system integration, Witekio develops methodologies and uses state-of-the-art tools. 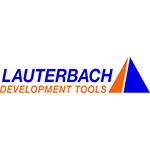 Lauterbach products, tools for development, testing and debugging, combine code quality with project efficiency. We also offer our customers support and customized training to better understand the technology and use of Lauterbach debugging equipment. These numerous and long-term partnerships with the world of electronic card design, processor manufacturers, OS editors and software platforms ensure that our expert engineers are not themselves locked into just one technology and truly meet the needs of your IoT smart object project. Since 2001, Witekio has worked on dozens of embedded customer projects based on Linux technology. This customer experience has allowed us to become a globally recognized player for our command of all aspects of Linux. 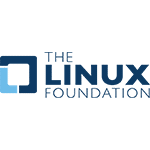 Joining The Linux Foundation is a symbol of our desire to promote and evolve Linux technology. Our expert Linux engineers regularly share their knowledge at Embedded conferences Linux Conference and at workshops and Linux training sessions for our customers. For more than 10 years, Witekio, formerly Adeneo Embedded, has been identified as a "Gold Level Member of the Windows Embedded Partner Program". Witekio has 2 MVPs ''Most Valuable Professionals" and three new certifications in 2015, namely "Gold Application Development", "Gold Intelligent Systems" and "Silver Devices and Deployment". 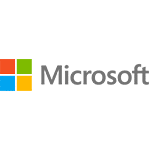 As an acknowledged Microsoft player, Witekio offers a wide choice of WinCE, Windows Embedded Compact 7 and Windows Embedded Compact 2013 BSPs running on the main platforms of our Silicon Vendors partners. In addition, Witekio is developing a partnership around new Microsoft cloud solutions such as Azure and Azure IoT hub. We are also working closely on the development of present and future technologies, such as Edge Computing or Artificial Intelligence. 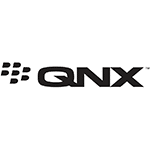 QNX technology is considered light, robust, fast, and comprehensive, and has quickly earned the reputation of being at the cutting-edge of technology for embedded systems. QNX has established itself most notably in the automotive, industrial and medical markets, which are highly constrained and standardized, calling for the most reliable and secure solutions. In collaboration with QNX, Witekio develops QNX reference BSPs on the main platforms of our Silicon Vendor partners, but also QNX BSPs on our customers' custom platforms. We combine our knowledge of the main processors used in the embedded world with our knowledge and command of QNX technology, in order to offer a complete system software integration offer to our customers. Witekio and The Qt Company have developed a solid partnership strategy for the integration of this technology to actual customer cases. 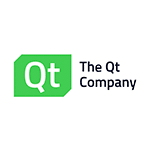 The Qt Open Source technology is a reference for the embedded system and application market, enabling the development and deployment of rich, ergonomic and cross-platform applications for a large number of markets, including the industrial, automotive, handheld and connected object markets. Witekio works together with The Qt Company on the integration of Qt technology for customer problems related to the development of innovative human-machine interfaces, providing a new user experience and easy to deploy from one operating system to another.